Contrary to the proverb, opportunity doesn’t always knock. Sometimes, it has to be discovered. That discovery is most likely to be made by those who know where to look. And how to recognize an opportunity when they find one. That would be us. Praxis Capital. We’re a private equity firm that’s committed to helping our clients build wealth through quality investments in real estate. Over the past two decades, we’ve earned an enviable reputation for delivering on that commitment. Adding real estate to a stock or bond portfolio – especially if afforded the opportunity to diversify across markets – provides much-needed diversification to almost every investor. 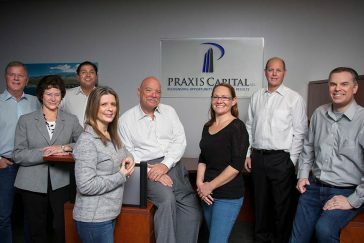 At Praxis Capital, we are devoted to making such an addition simple, straightforward, and rewarding. The executive team at Praxis combines more than 100 years and $5 billion of experience in the multifamily sector; including ownership and/or management of over 100,000 apartment units. 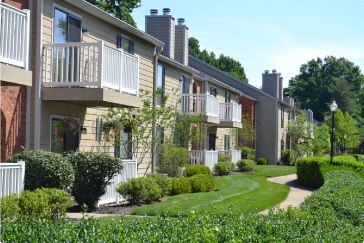 We purchase well located, underperforming or value-add multifamily properties in growing markets throughout the United States. Opportunity is hidden everywhere. Praxis Capital’s Opportunistic Platform is designed to find hidden opportunities that come in various forms. "I recieved my investment fund update this morning--and holy cow--you guys are doing a great job! I'm kicking myself for not putting more into this deal. I won't make the same mistake next time! Please keep me in mind for future opportunities...I'd love to invest more with Praxis!" "I have invested with Praxis in multiple projects since 2011. They have proven to be knowledgeable and professional in all my dealings with them. The firm's disciplined approach, keen eye for value, attention to detail and superior execution places them at the top of my list. I have full confidence in their honesty and integrity, and I look forward to partnering with them again." "Praxis guided me thru the process of making a sound financial decision for our family. Most importantly, they took the time to make sure we understood every aspect of the transaction until we felt 100% comfortable." "Their disciplined approach was consistent with my expectations, based upon my past years of investing in real estate, both as a lender and as an equity investor. To date, they have fully met my expectations in adhering to their business plan." "I am in a group who has made a number of loans to Praxis secured by their properties. I find them to be quite knowledgeable and professional about their business. They run it profitably, and they pay on time." "I am a residential real estate broker and quite cautious about my investments. I have been delighted with my investments with Praxis Capital. All payment and pay-offs have been received as scheduled. I currently have two investments with Praxis and am happy to continue my relationship with them." "I have worked with Praxis on multiple projects and through that experience have come to know them as a firm that operates with integrity in everything they do. Praxis is professional in all aspects, a top notch company...a real pleasure to work with!" "Working with Praxis in this fast paced market has been a wonderful experience. Their diligence, quick responses and fantastic staff makes all of our transactions go smooth as silk!" "I began investing with Praxis in Sept of 2011 and I have done extremely well. The team at Praxis is excellent at what they do and I am very pleased with their performance. I highly recommend them!" "For me Investing is about Trust, Ability, Affinity and Availability. I have been an investor with Praxis since 2010 and have found Brian and Bob to be competent individuals with integrity who pay attention to details and deliver for their clients." "Projected returns were attractive. Actual returns were even better. I appreciate the many insights shared in each quarterly report and look forward to continued investments together." I would just like to reiterate that the Investor platform and the investor reports are excellent. Very clear, enough detail to give a full picture but also easy to read and understand. First class! "I wanted to let you know that we were able to swing by and look at the project in person. Loved it! The design is really attractive and the location is ideal. We are very glad that we invested in this project. Thanks for sourcing such a great opportunity and let us know if there is ever a future capital raise on this project." "We provide total wealth management and family office services to our clients. That means that we find the best investment vehicles for them across asset classes. We spent approximately six months investigating companies that we could partner with. In the end we concluded that Praxis provided the ideal combination of experience, expertise, common sense, tenacity, systems, and professionalism to satisfy our requirements. We have now steered several of our clients to invest with them. It has been fun to work with Praxis." "In the investment world, and business in general, an individual’s or company’s character is of the utmost importance. It is due to this trust and faith (plus the financial and deep track record) that I hold the Praxis team in high regard. I have personally invested with Praxis and have also referred a number of clients who, upon doing their own due diligence, have invested with Praxis as well." 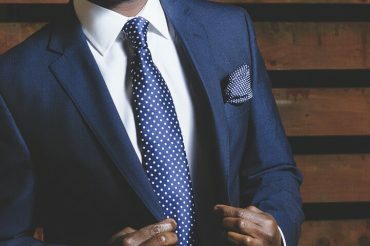 "The executive summary, as well as the entire business plan, is one of the best I have ever read...a tightly written, well expressed and complete recitation of all the key facts and data that an investor could want..."
"I am using a very select list of the best general partners meeting a very strict list of criteria including experience, track record, responsiveness, etc. When managing partners report as completely, timely and regular as Praxis, it makes my job that much easier. Each of the projects we have worked on with Praxis has outperformed the expected proformas. I am extremely happy with Praxis as a manager of real estate for my clients and consider them one of the best real estate experts with whom I have done business." "Praxis offers a generous return and flexible investment opportunities." "Having worked with this group for quite some time, I know that they have our best interest at heart." 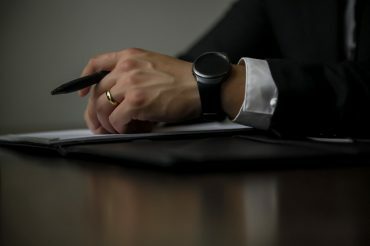 "I have enjoyed reviewing your due diligence files which are the best I have ever seen for an offering and if I were still in the investment business, I would be showing your deals to my clients..."
"After doing plenty of due diligence while looking to invest in multifamily, I decided to invest with Praxis. Their overall communication, property due diligence, marketing package and detailed operating forecasts are truly second to none. Combine that with a conservative underwriting approach, the entire process helps bring peace of mind when investing. I look forward to investing with Brian and Bob again in the near future"
Bob Dreher, SVP/Investor Relations, is super friendly, understanding, and communicates business details very effectively. He is very creative, helpful, loves what he does at Praxis Capital and has helped me a lot in my early years of passive investing. "I have done a lot of due diligence on both Praxis and Brian Burke. I travelled to their offices prior to investing and was given a tour of their operations, offices, etc. Brian and Bob spent much time answering my questions and showing me what I requested from them. It was actually that trip that helped me to realize how very important doing proper due diligence is on a sponsor. I can't emphasize that aspect enough! I have now been an investor with Praxis for well over a year now. Trust me, after looking at 100's of sponsors over the last couple years, Praxis stands very TALL above the rest. In short, I count Brian and Praxis to be a top-notch sponsor, if not the best I have yet to come across." "I have been a real estate investor for 40 years and I find Praxis to be extremely refreshing. Everything they say they will do, they do. During this year I have referred several friends to do business with Praxis. This speaks for itself...."
"We embarked on our relationship with the Praxis team in early 2016.  We did so based on the counsel of a trusted real estate investment partner. Thus far, we have been very gratified by his advice. The Praxis team has been highly transparent and communicative regarding the projects in which we are invested and, more generally, about their overarching strategic aspirations. It has been exciting to observe a disciplined team with a sound investment strategy confidently execute on its plan. Our experience has been very positive to date and we are looking forward to completing our first project with Praxis later in 2017." "I have been an investor with Praxis Capital for about a year and nine months now. 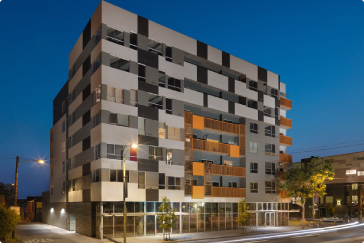 While it's too early to say how my investment will turn out in the long run (multi-family projects are usually a few years' duration), I will attest that I am impressed by the company's level of due diligence and its professionalism and open communication. All questions I've ever had, I've gotten answers to. All emails I've sent, I've received timely replies. I'm comforted by the fact Praxis seems to put investors' interests first." "PRAXIS' attention to detail and the personal relationships they have built with their investors is rare in this business. This is a real TEAM with sincere dedication to everyone they work with "
"Praxis is very professional and always provide excellent communication. I have always received checks when due. They are a true pleasure to deal with." "One of the most compelling presentations I have seen. I thought I was never investing in real estate again...until I heard your story. Well done." "I discovered the company via the internet and then attended an investor presentation. I have funded multiple loans, receiving monthly interest on time, getting paid off without any problem. I chose to invest in one of their equity funds as a way of diversifying my portfolio without undue risk. 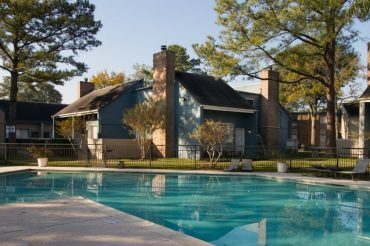 I'm very pleased with their customer service and flexibility to accommodate my needs as a private investor." David G and Mary L.
"Being able to diversify our retirement investments through the use of a self-directed IRA was a huge bonus, allowing us to invest much more in real estate without the management headaches. The Praxis track record and management team were the deciding factors. Thanks, Praxis!"